Christopher Nolan's award-winning "The Dark Knight Trilogy" includes BATMAN BEGINS, THE DARK KNIGHT and THE DARK KNIGHT RISES. 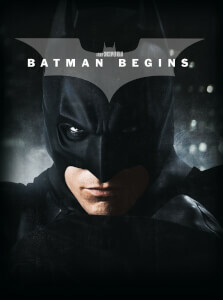 BATMAN BEGINS explores the origins of the Batman legend and the Dark Knight's emergence as a force for good. 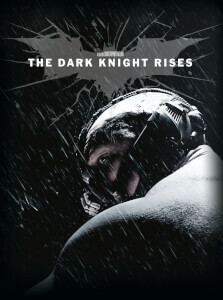 In THE DARK KNIGHT, Batman sets out to dismantle the remaining criminal organizations that plague Gotham. However, he soon finds himself prey to a reign of chaos unleashed by a rising criminal mastermind known as The Joker. In THE DARK KNIGHT RISES, Batman has vanished into the night, turning from hero to fugitive after assuming the blame for the death of D.A. Harvey Dent. However, with the emergence of Bane, a masked terrorist whose has devised a ruthless plan for Gotham, Bruce is forced out of his self-imposed exile. But even if he dons the cape and cowl again, Batman may be no match for Bane. 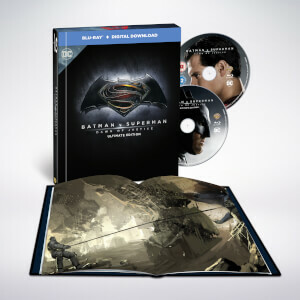 Batman Begins Stunts • Confidential Files: Discover facts and story points not in the film. THE BATMOBILE Witness all five Batmobiles together for the first time in history. Dive deep into every aspect of the most awe-inspiring weapon in Batman’s arsenal as you journey through the birth and evolution of this technological marvel and cultural icon. ENDING THE KNIGHT A comprehensive look into how director Christopher Nolan and his production team made The Dark Knight Rises the epic conclusion to the Dark Knight legend. Christian Bale, Heath Ledger, Aaron Eckhart, Michael Caine, Maggie Gyllenhaal, Gary Oldman, Morgan Freeman, Cilian Murphy, Tom Hardy, Tom Hardy, Joseph Gordon-Levitt, Marion Cotillard, Anne Hathaway, Liam Neeson, Katie Holmes. There is a reason why this trilogy is regarded to as the best super hero trilogy ever. Even though MCU produces stuff that current DCEU does not match, this trilogy just wipes the floor with MCU titles (captain america winter solder is the only thing comes close). If you own a 4k TV, this is a must buy. The picture quality in addition to HDR, makes the trilogy a pleasure to watch.